Most supplements are a waste of your time and many supplement companies lie about their products. 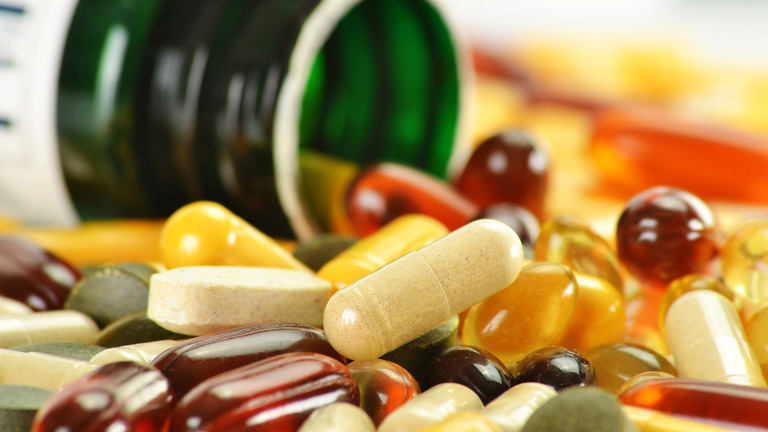 If you’re looking for science-based supplement recommendations, then this article is for you. Have you ever gone into your local Vitamin Shoppe or GNC and seen their HUGE wall of supplements? It can be quite overwhelming, am I right? How do you know which ones are a good investment and which ones are a complete waste of your hard-earned money? It’s a great question. And I’ll share with you my top supplements brands and products. But, first I’d like to talk about the dangers of buying cheaper protein powders and supplements in an attempt to save money…then falling for the BS marketing that most companies do. For instance, ConsumerLab.com bought, tested and reviewed a broad range of protein powders and drinks to assess their quality. A protein powder claiming “0″ cholesterol really had 10.2 mg. And this was from a “GMP certified” facility. A more shocking discovery was made when a 2017 study published in the Journal of Human Kinetics found that over 5% of supplements are secretly spiked with androgenic-anabolic steroids. So if you notice that a supplement is extraordinarily effective, it may very well be because there’s a little something “extra” in there that was conveniently left off the label. I don’t know about you, but I have enough issues in my life without being ripped off by my protein powder or being poisoned by designer oral steroids. These toxins will ruin your liver and mess up your endocrine system. That said, having the right supplements is KEY if you want to burn fat, build muscle and improve your health. In this best supplements series, I’ll answer all your questions and go into supplements that I’ve personally tried and have scientific evidence to support their effects. I’ve been using supplements for over 20 years, and I love experimenting with them. I’ve built more muscle, recovered faster, reduced my stress, improved my sleep, and more from using supplements. But one of the key lessons I’ve learned for all these self-experiments is that no supplement can make up for a bad workout program, improper recovery, a poor diet and lack of sleep. So if you don’t have the basics dialed in, then that’s where you should start. 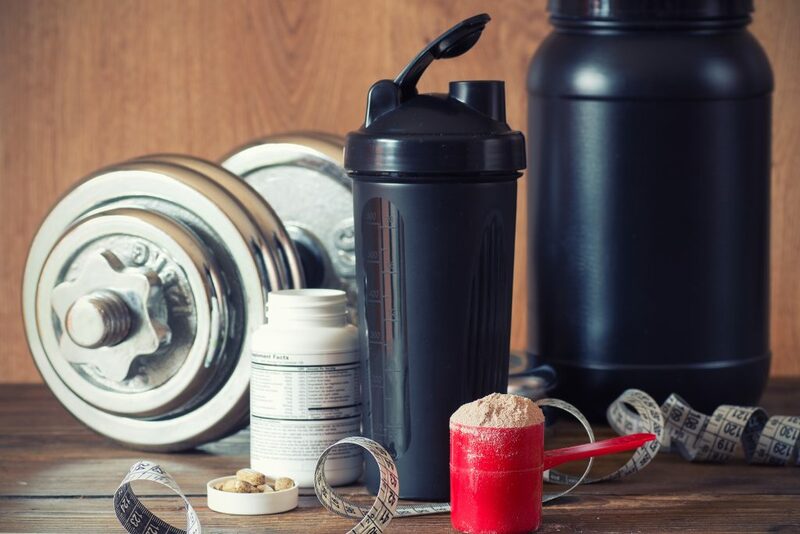 But if you’d like to know which supplements I recommend and take personally (because of exhaustive research and years of experience), then read on to learn how these six supplements can take your health and performance to the next level! Creatine Monohydrate is naturally occurring amino acid that can rapidly produce energy to support cellular function. It is a well-researched supplement and is remarkably safe for most people. Research and anecdotal experience has consistently shown creatine to be a potent performance-enhancer for intense, short-duration exercise. In other words, if you lift weight or play sports where strength is important, you should experiment with creatine to see if it helps. Although creatine is well-recognized as a physical performance enhancer, it’s scientifically-proven to optimize brain power too. It’s benefits include improved working memory, long-lasting mental energy, and neuroprotection. In its natural state creatine can be found in foods like beef and pork, although most of it gets broken down during cooking. This paper that I found on Creatine levels and diet cite some studies that say creatine starts to degrade at 115 degrees in fish, and that baking meat causes 92% loss of available creatine due to actual breakdown. It seems that creatine you get from food is insignificant if you want levels that affect your physical and cognitive performance. 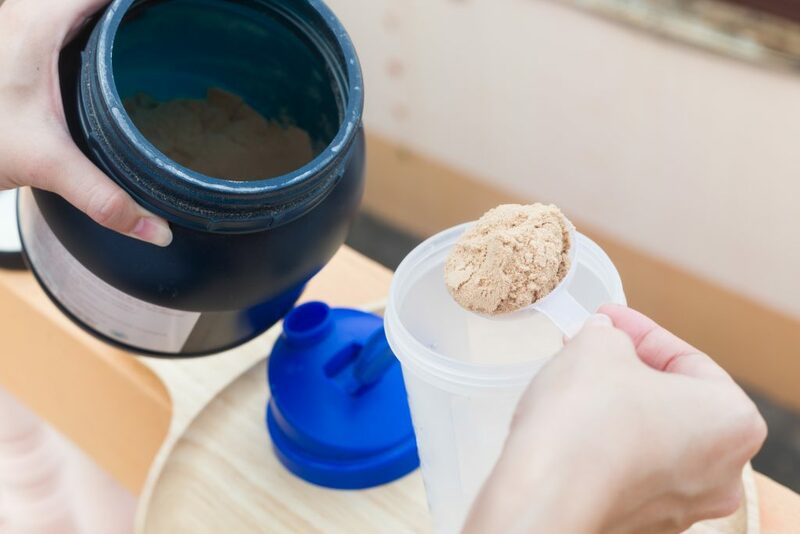 It would be very difficult to get enough creatine from what you eat. And the negative effects from eating the amount of food you would have to eat would outweigh the benefits you would get from the creatine. Creatine is best as a supplement. Stay away from fancy, expensive forms of creatine. Stick with good ol’ German micronized creatine monohydrate. 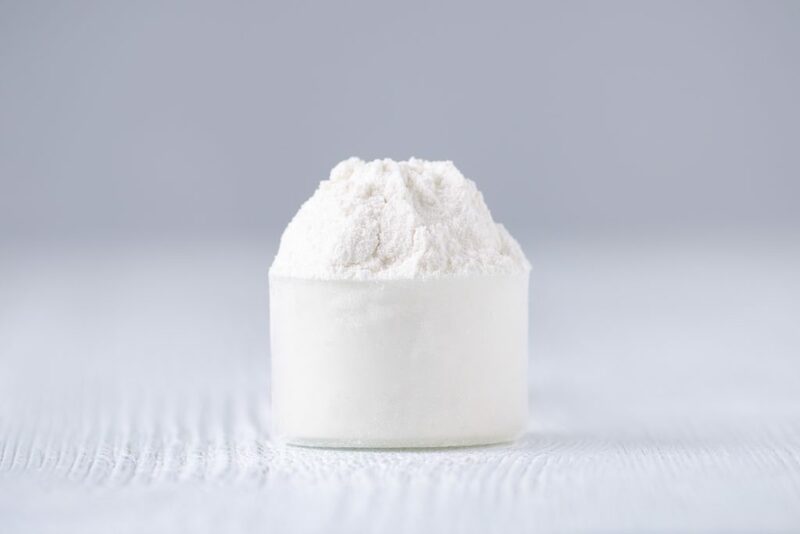 It’s important for you to know that creatine monohydrate is only made in two places: Germany and China. 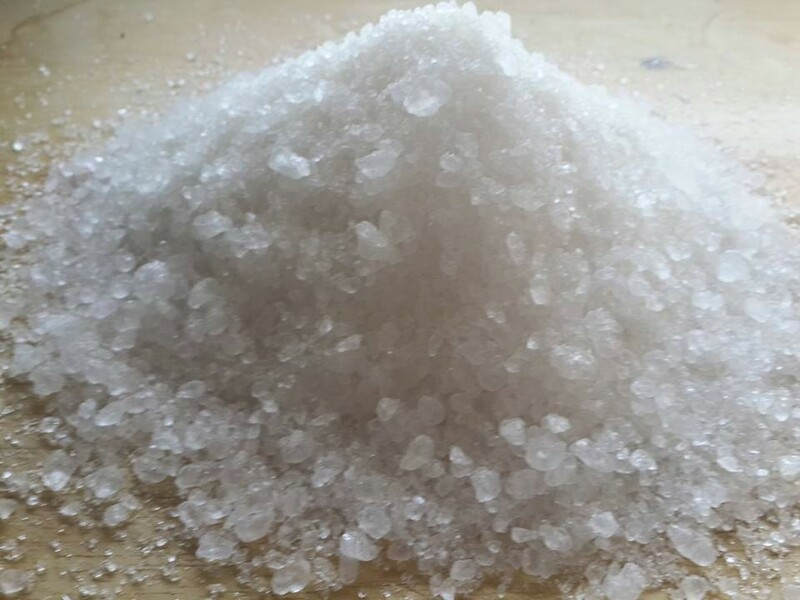 Avoid any creatine from China as there have been issues with contaminants. As a general rule, shoot for 5 grams per day. Biocreatine from Natural Stacks. Biocreatine uses German micronized creatine along with Himalayan sea salt and fenugreek for improved absorption. I was a bit skeptical of this product at first because it’s only 2.5 grams of creatine monohydrate per serving. I wasn’t expecting much from the “improved delivery method.” To be honest, I thought it was just fancy marketing designed to get you excited about an old product. However, I noticed better results from taking one 2.5 gram serving of Biocreatine than taking 10 grams of other creatine monohydrate products. It’s just my subjective experience but I was impressed with the results. >>Use Promocode LEGENDARY15 to save 15%! Similar to creatine, beta-alanine is another naturally occurring amino acid that can help you build muscle and improve physical performance. As you exercise, acid builds up in the muscle (most people think it’s lactic acid but it’s actually just H+). This acidity leads to that familiar burning sensation and decreases performance. Beta-alanine buffers the build up of acid so that you can push longer and harder. Many people report being able to perform one or two more reps in the gym when training in sets of 8–15 repetitions. Beta-alanine supplementation can also improve moderate- to high-intensity cardiovascular exercise performance, like HIIT and circuit training. This is important as beta-alanine has not been shown to improve performance in lifting heavy weights. Like creatine, natural sources of beta-alanine don’t give you the dose you need to improve performance. It’s best to stick with a supplement in this case. Try experimenting with 3-5 grams of beta-alanine per day. On workout days, break it up into two doses–one before the workout and one after. Taking beta-alanine on an empty stomach has been shown to increase blood levels of beta-alanine. It’s important to note that some people experience paresthesia—a tingling sensation on the skin–when using beta-alanine. It’s not dangerous at all but it can freak you out if you’re now aware of it. I get tingles every time take it but it doesn’t bother me. But it can be uncomfortable for some people. Natural Stacks BCAAs with Beta-Alanine. Although this isn’t a pure beta-alanine product, I like that it’s from the same company. They sell everything as a Physical Performance Stack so that you can save a few bucks in the process. I also want to mention that BCAAs have come under fire recently for not being effective if you’re already eating enough protein in your diet. And rightfully so as BCAAs are overrated. That said, if you’re not eating the 0.8 grams of protein per day and timing that protein around your workouts, then BCAAs may help. Especially if you’re in a fat loss (aka cutting) phase or working out in a fasted state, this will help you perform better in the gym without feeling as fatigued. BCAAs pre-workout may help vegans and vegetarians who typically have trouble getting enough leucine from plat-based protein sources. Whey protein powder is one of the most popular supplements around. So you know, whey and casein are the two proteins found in dairy products. According to numerous studies, whey is hands-down the best for building muscle. It also helps you preserve muscle when you’re losing weight (as you want to make sure you’re losing fat instead of lean muscle mass). Whey protein is rich in both glutamine (the most abundant amino acid in muscle) and the branched-chain amino acid leucine (the single most important nutrient for building muscle). One of the best dietary sources of whey protein is ricotta cheese. However, you get as many grams of fat as you do grams of protein from ricotta cheese. Cottage cheese and Greek yogurt are also good sources. In fact, some studies I’ve been reading suggest that eating whole food sources of whey and casein are actually better than protein powder. So don’t feel that you need to take protein powder to build muscle. Because you don’t. However, many people don’t like to eat dairy. Dairy products like yogurt and cottage cheese has lactose which will affect those with lactose intolerance. And I’ve found that some of my clients just don’t like to eat food before their workouts. In that case, I recommend just using a whey protein supplement instead. It’s just easier. If you track your macronutrients, then you should be shooting for 0.8 grams of protein for every lb of your body weight. For example, if you weigh 200lbs, you should shoot for 160 grams of protein per day. If you don’t track your macros, then here are some simple rules to follow. For weight loss clients, I recommend to a client to start out with a protein shake for breakfast—especially if they’re tight on time in the morning. For muscle building clients, I recommend having a protein shake before and after a workout. I go into more depth on my podcast episode if you want more details. Natural Protein by Natural Stacks. This is the protein I take and it’s awesome. It only has four ingredients–no additives or fillers. It’s whey protein, hydrolyzed bovine collagen, colostrum and either Madagascar vanilla (for the vanilla flavor) or Ecuadorian cacao (for the chocolate flavor). There is research suggesting that collagen helps your joints and that colostrum will help your immune system stay strong when pushing yourself hard in the gym or on the field. Personally, I started noticing less pain and joint aches from taking this. My knees were feeling better than usual and started wondering what was causing it. Then I remembered that Natural Protein had collagen in it. Although you can buy collagen and take it separately, I find it’s easier to take them together in this formula. Watch my honest review now! Magnesium is an essential mineral that is a cofactor in more than 300 enzyme systems that regulate diverse biochemical reactions in the body, including protein synthesis, muscle and nerve function, blood glucose control, and blood pressure regulation. Magnesium is widely found in both plants and animal-sourced foods. The highest sources are seeds and nuts, but whole grains, beans and leafy green vegetables are also good sources. Dark leafy greens with significant amounts of magnesium include kale, spinach, collard greens, turnip greens and mustard greens. Fish like mackerel and tuna are decent sources of magnesium too. Avocados and bananas have good amounts as well. That said, it’s hard to know exactly how much magnesium you’re getting from your food since plants get their magnesium from the soil. We know that there are issues with soil quality in the U.S. and that affects how much we get from out food. If you exercise regularly, are under a lot of stress or don’t eat enough magnesium-rich foods, I recommend taking an oral magnesium as one of your go-to supplements. Stay away from magnesium oxide—the form you find in cheaper supplements—as it is poorly absorbed. Magnesium citrate and amino acid chelates like magnesium taurate and magnesium glycinate are good choices. It’s important to note that magnesium supplements can give you “disaster pants” (aka diarrhea) based on how much you take and the form of magnesium you use. Be mindful of your response to the supplement you take and adjust accordingly. I’ve had this issue with the majority of magnesium supplements I’ve tried. However, if you suffer from constipation, now you know the cure. If you listen to Legendary Life regularly, you know that I’m a big fan of topical magnesium chloride. But I suggest that you start with an oral form first as the research on topical magnesium isn’t clear on whether it affects you systemically or just where you apply it. Natural Stacks Magtech. This is hands-down my favorite oral magnesium supplement. In fact, it’s the ONLY oral supplement that I haven’t had any GI upset from taking. And I’ve experimented with many brands and forms of magnesium. Watch My Honest Review Video Now! Melatonin is a popular supplement taken for insomnia and jet lag. It’s naturally produced neurohormone secreted by the pineal gland in the brain, and it is well established for inducing and regulating sleep. You can optimize your natural production of melatonin by practicing proper sleep hygiene. Blue light emanated from lamps, smart devices and TVs are known to suppress natural melatonin production. Sleep hygiene practices like lowering lights an hour before bedtime, avoiding devices like smartphones and computers, using blackout curtains in your bedroom and sleeping with a sleep mask can all help the body to produce melatonin naturally. Melatonin occurs naturally in some foods as well. Melatonin supplementation is a bit controversial as many sleep experts feel that it is overused. And most supplements contain dosages that are too high. 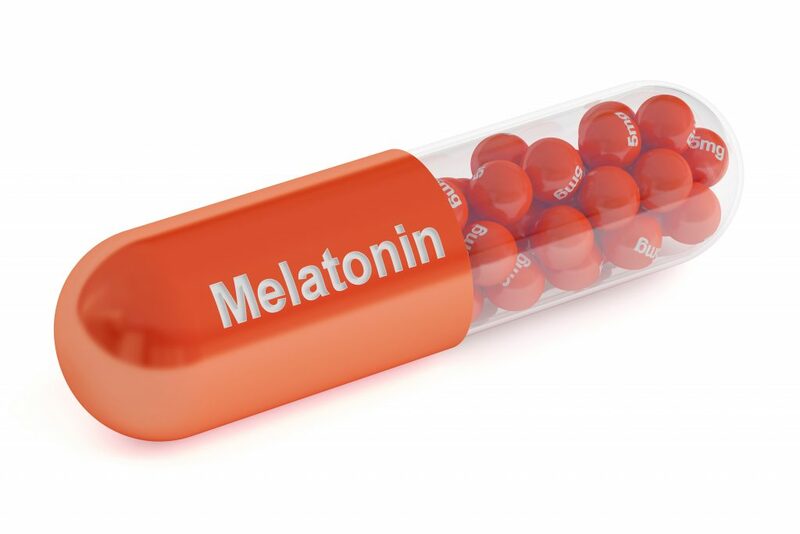 Although melatonin supplementation is not associated with negative feedback (when taking supplementation causes your body to produce less of a hormone), recent research suggests that melatonin receptors may become less responsive (i.e. downregulate) from high supplemental levels. That said, I think melatonin supplementation is critical for people who suffer from chronic sleep issues like insomnia or frequent waking during the night. Personally, I wouldn’t have been able to improve my sleep without it—even with everything I know about sleep hygiene. The key is to find the dosage that works best for you. A recent study from MIT suggests that 0.3 mg (300 micrograms) is the best dosage for insomnia. That’s much less than the typical 1-3mg dosages found in most supplements. My suggestion is to get a good quality melatonin supplement then break it up into small pieces to experiment with to find the best dosage for yourself. FruitFast CherryFlex. I know…this isn’t a melatonin supplement. It’s a tart cherry juice supplement. Well, now you know my little secret. I’ve stopped taking melatonin products. I’ve experimented with countless different types of melatonin and can tell you that not all melatonin supplements are created equally. And none of them work as well as CherryFlex. Not only do you get the naturally occurring melatonin in the tart cherry juice, but you get the anti-oxidant and anti-inflammatory effects as well. There’s quite a bit of research on tart cherry juice and I’ll eventually write an entire article extolling its benefits and sharing my experience. But for right now take my word for it. This stuff works! Vitamin D is a fat-soluble nutrient that is critical for survival and optimal health. Optimal levels of Vitamin D promote calcium absorption in the gut, reduce inflammation, and improve immune function. People deficient in Vitamin D may increase their Testosterone levels when levels are brought up to an optimal level. Recent research has found that your sleep quality may be directly related to your Vitamin D levels as well. Direct sunlight (specifically UV-B) on uncovered skin naturally starts the process of Vitamin D production. Seasons, the length of day, cloud cover, smog, sunscreen, and darkness of skin (melanin) all affect the amount of UV exposure and rate of Vitamin D that your body produces. If you live in a location with a lot of smog or cloudiness, or if you do not get outside often, you probably don’t have optimal levels of Vitamin D.
Very few foods contain enough Vitamin D to positively impact your levels. 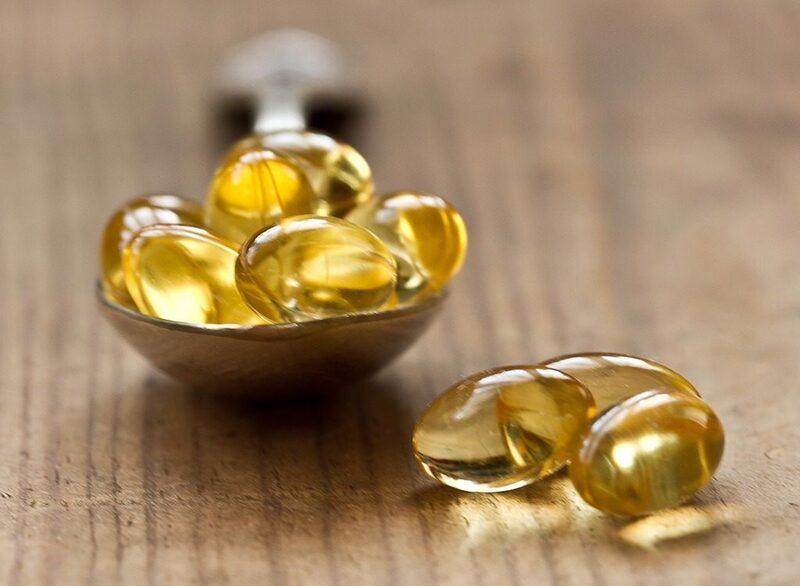 Cod liver oil, swordfish, and salmon contain the highest amounts. But my recommendation is that if you’re not getting enough direct sunlight—because of your location, lifestyle or concerns about skin cancer—then it’s best to supplement. The first thing to do is to get your vitamin D levels checked. You can do this with a simple blood test at your doctors or an online lab like Discounted Labs or Life Extension. That way, you have a baseline to measure the effectiveness of your supplement and dose. Serum concentration of 25(OH)D is the best indicator of vitamin D status. It reflects vitamin D produced by your skin as well as obtained from food and supplements. Just pay attention to the units as different labs measure Vitamin D levels with different units. The two most common units are nmol/L and ng/mL. Natural Stacks Vitamin D3. They use cholecalciferol—the most bioavailable form of Vitamin D—suspended in organic coconut oil for maximum absorption. It’s $14.95 for 90 servings of 5,000 IU, so it’s great quality for a great price as well. When it comes to fat, there’s one type you don’t want to cut back on: omega-3 fatty acids. Two important ones — EPA and DHA — are primarily found in certain fish. Not only does your body need these fatty acids to function, but also they deliver some big health benefits. While many people take fish oil for omega-3s, krill oil may offer the same (and potentially better) benefits at a lower dosage. Krill are tiny shrimp-like crustaceans that are found in abundance in the ocean. The only source of krill oil is krill. And they don’t sell those at your local grocery store. However, you can get omega-3’s naturally by eating fatty fish. The 2015-2020 Dietary Guidelines, as well as the American Heart Association, recommend eating at least two servings of fish each week. But let’s be honest. How many of us actually do that? Maybe you do. But personally, I don’t like the taste of fish at all unless a talented chef is preparing it. And I know I’m not the only one who prefers a juicy steak over fish whenever I have the choice. And even if you do eat fish regularly, are you getting enough to equal the 1000 mg of krill oil that you can get in a supplement? The answer is probably not. You might be wondering why I’m recommending krill oil over fish oil. Great question. Like fish oil, krill oil is a source of docosahexaenoic acid (DHA) and eicosapentaenoic acid (EPA), types of omega-3 fats found only in marine sources. East to add to your routine. The capsules are typically smaller than those of fish oil supplements, and may be less likely to cause fish burps or that fishy aftertaste. Contains astaxanthin. Unlike fish oil, krill also contains a powerful antioxidant called astaxanthin. More sustainable choice than fish oil. Because krill are so abundant and reproduce quickly, krill oil is a more sustainable choice than fish oil. May be more effective than fish oil. One study compared the effects of krill oil and purified omega-3s on cholesterol and triglyceride levels. Only krill oil raised “good” high-density-lipoprotein (HDL) cholesterol. It was also more effective at decreasing a marker of inflammation, even though the dosage was much lower. As I mentioned above, you need less krill oil to get the same benefits as fish oil. >Use Promocode LEGENDARY15 to save 15%! You may have noticed that I’ve recommended Natural Stacks products throughout this article. And I want to tell you why. I’ve been contacted by supplement companies more times than I can count throughout my 19+ year fitness career and have said no them except two brands. One of them is Natural Stacks. And, like always, I was very skeptical. But I love the fact that they have a customer review section for each supplement as well as the science they use to formulate each product. They also started something called the Open Source Initiative to create more transparency in supplement companies—a quality that’s lacking in the supplement business. Part of the open source initiative is that Natural Stacks posts their 3rd part test batch results so you can see exactly what’s in each bottle you buy. Another thing you should know about Natural Stacks (and the other supplement companies recommended here) is that it’s a premium supplement brand. That means that they’re more expensive than what you’ll find at your local GNC or drug store. What I want you to know is that when it comes to supplements, you get what you pay for. The supplement business is notorious for lying about the ingredients or amounts of ingredients in their products. I’ve even interviewed a former FDA Special Agent, who talked about supplement scams on my show. Here’s an article talking about major supplement brands having bogus products. >>>Listen to his interview now. I want you to know that Natural Stacks (and all the other companies I recommend) are the real deal. They’re pushing for open source supplements so consumers will be able to trust what they’re paying for is actually what they’re getting. I want you to know that I personally vouch for them after trying several of their products. Use Promo code LEGENDARY15 to save 15%! If you feel like your life is too chaotic and you don’t have time for yourself, you’ll need to change your lifestyle and incorporate healthy habits. Although supplements may be effective in helping you build muscle, sleep better, manage stress and improve your health. And if you were already eliminating the unhealthy habits, these supplements will take your life to the next level. Most people over 40 know that exercise, eating well, and quality sleep are important for looking and feeling better. Yet they need help applying that knowledge in the context of their busy, sometimes stressful lives. If you’ve recently tried to follow a workout program that you used to do in your twenties, you probably noticed that it isn’t as effective as it used to be! When you are in your late 30s, 40s, and 50s, you need a workout designed for your age and lifestyle. So, you can exercise without straining your body, feeling exhausted afterwards or even getting injured and taking too many days to recover. My 6-week customized workouts are designed to make you workout smarter, not harder. This is a program specifically designed for people over 40 is packed with everything you need to k to finally create that leaner, fitter, and healthier body that you’ve always wanted. I’m offering my customized workout program at a special price, so you have no excuses to transform your body in the next 6 weeks. PLUS: If you buy in the next 48 hours, you’ll have direct access to me and you can ask all your burning questions in this one coaching email that you get as a bonus. Also, I’ll give you specific advice on nutrition and supplementation, so you can get results faster. Are these in order of importance Ted? Which would you recommend for someone starting out or on a budget, and only wanting to dip their toes in the water?? Hi, Ted, this is a great list and I love the supplements you list especially for stress and better sleep. I, unfortunately, can’t take magnesium because of digestive issues but magnesium provides many health benefits. I am vitamin D deficient so it is nice to know I can get a nice amount from salmon. I plan on taking better steps this year towards my health so I truly appreciate you taking the time to give us some great tips. You’re welcome, Melissa. Glad you enjoyed the article. I’n not sure how many versions of magnesium you’ve tried, but some are easier on the digestive system than others. And you can always get it from foods–although it’s hard to know just how many milligrams of magnesium you’re getting from food. I have a question for you: what other topics should I cover in my articles and blog posts? Since you talk about different vitamins and supplements, health, and our bodies, I think it would be nice if you do some articles covering more specific topics like foods that are good for building mass, foods that contain these vitamins or that, best supplements for this or that, and give some reviews of your favorite vitamin brands or supplement brands, or even equipment. You could do articles age-specific like best exercises for women over 40, losing weight for men and women over 40 is different so I would love to hear what we need to do differently. Thanks for asking!